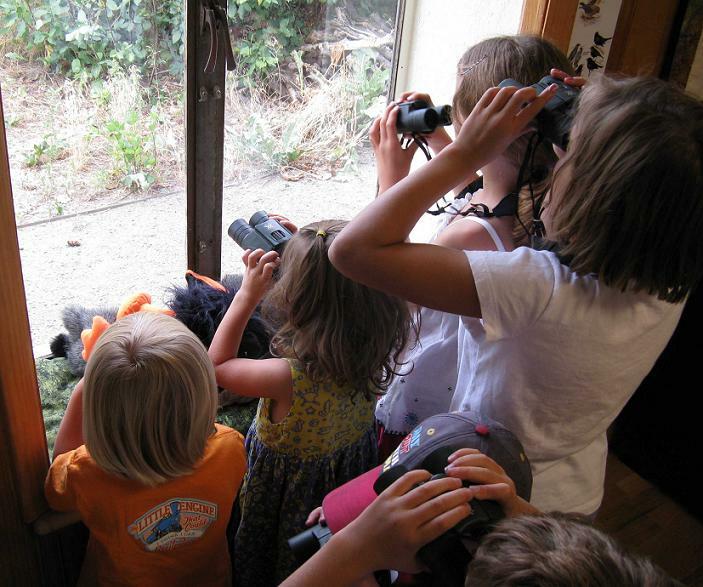 The Audubon Center fulfills an important niche in the south Denver community, by bringing hands-on, nature programs to children, families, and adults, encouraging all ages to DISCOVER, LEARN and TAKE ACTION. The Audubon Center provides critical habitat for an abundance of birds, other wildlife, and plants. Set alongside the South Platte River – an important wildlife corridor – the site offers visitors the chance to explore forests, shrublands, grasslands, ponds and wetlands. While hiking at the Audubon Center, you may chance upon mule deer grazing, prickly pear blooms drying in the sun, red-winged blackbirds singing loudly to defend territories, or raccoon tracks left in the mud. Designated as an Important Bird Area by the National Audubon Society, the park boasts a list of 345 bird species that spend either part or all of the year at Chatfield. The classroom is outfitted with educational equipment – binoculars, aquatic sweep nets, insect nets, track molds, microscopes and more – to facilitate a hands-on approach to nature discovery. Native gardens attract butterflies and birds near the building while showcasing Colorado plants and organic gardening practices. A 200 seat outdoor amphitheater provides space for outdoor programming for larger groups.